Soooz Says Stuff: A Halloween poem by Melissa Eyler. A Halloween poem by Melissa Eyler. Melissa Eyler was the winner of the September Paragraphs Of Power contest. 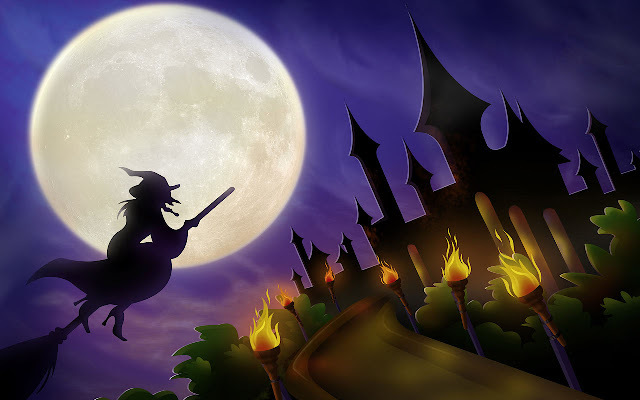 She has contributed one of her poems to the Halloween theme for my October blog. It’s amazing how the door still creaks after it’s shut and yet, the wind outside is still. That slab of wood is usually mute, but just like all of us it has bad days. It groans as if still a living tree that suffers from old age and the shifting of the ground. Or perhaps it mourns having once lived in the sun and understands that it will never return to that golden age. It’s amazing how the door still creaks after its shut and yet, the wind outside is still. Perhaps it’s just my recollection of the sound it made when I passed through and closed it. Maybe it’s just an echo in my mind from some time ago. Or possibly someone is there on the other side pushing it open a bit. As if, someone else is here and I am not truly alone. From this dark, drab place, equivalent to a tomb. And clouds of black sneak in around the cracks until the room is filled. And have not worried of such things since the moment I was killed. Thank you, Suz, for sharing my work on your blogs.